The infamous Carly heel by Kate Spade in size 6 and 8 on eBay. I have been searching for a 9 or a 91/2 since I made the foolish decision to return them almost 3 years ago. What I fool I was. 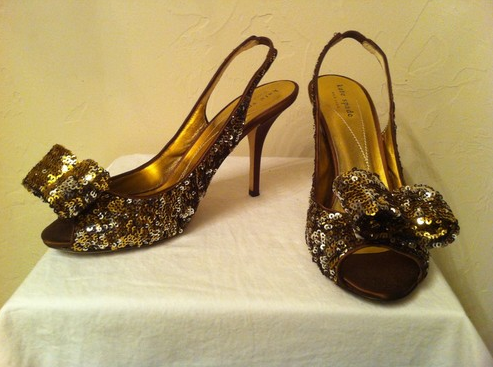 Search for "Kate Spade sequin heel" and they are yours.